Travel was one of my retirement goals. 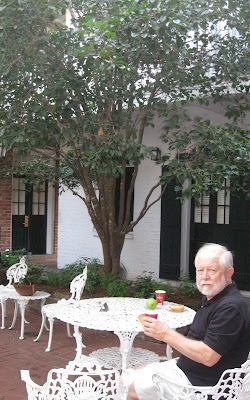 Lately, travel for husband Walter and me has been occasional overnight getaways to New Orleans. 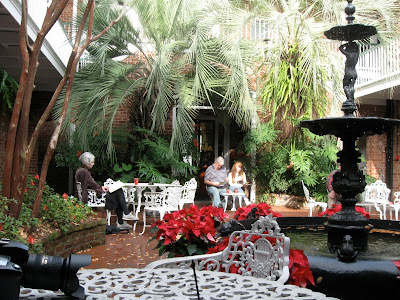 For a few days before Thanksgiving and again before Christmas, we stayed at the Provincial, a family-owned hotel in the French Quarter. A practical plus about this establishment is on-site parking that accommodates our aging high-rise van. 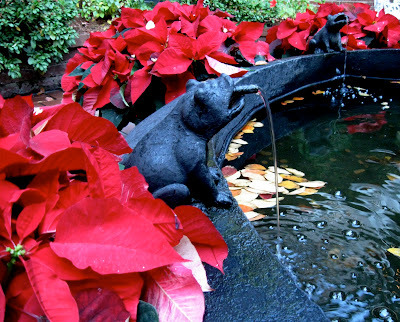 Whether colorful poinsettias in December . 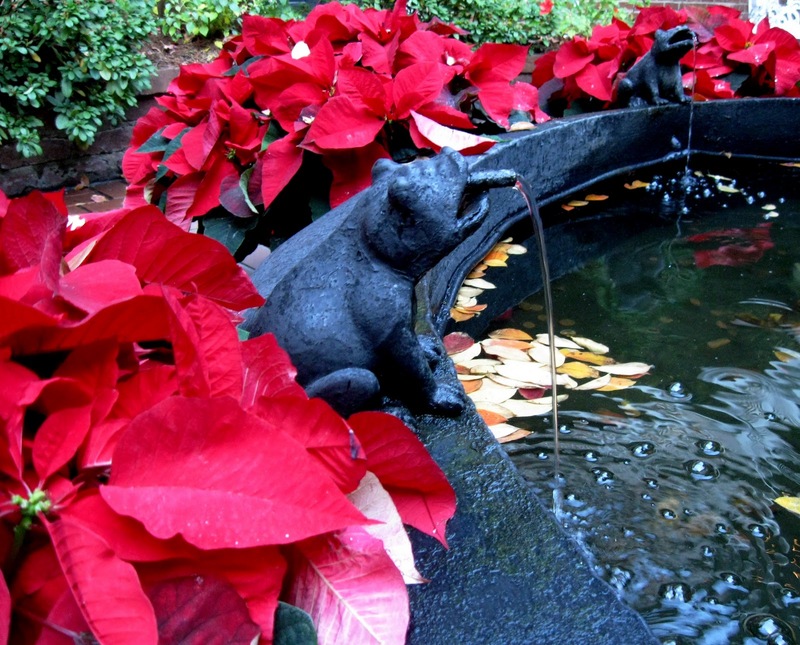 . .
Or annuals and perennials enjoying the warm weather of fall, the marriage of foliage, fountain and space offers a visually soothing embrace. The fragrance of the sweet olive bush (tree?) 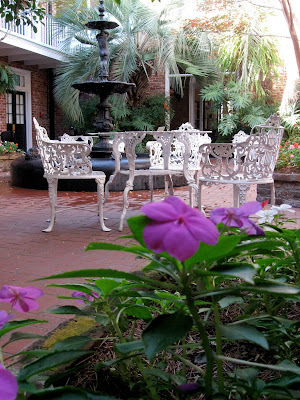 in the background wafts throughout the courtyard. 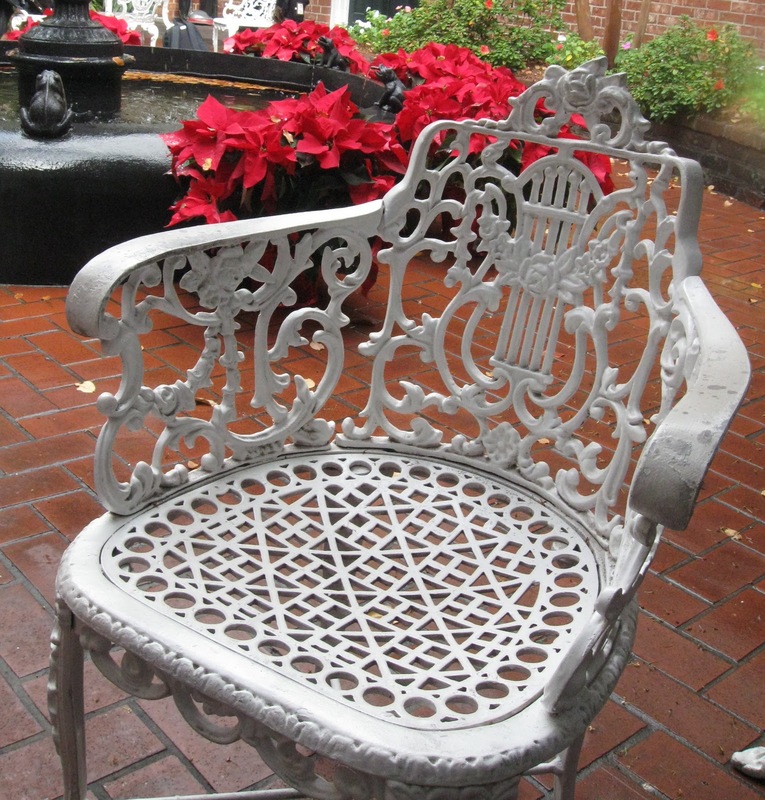 The heavy wrought-iron chair feels cool and surprisingly comfortable against back and seat. 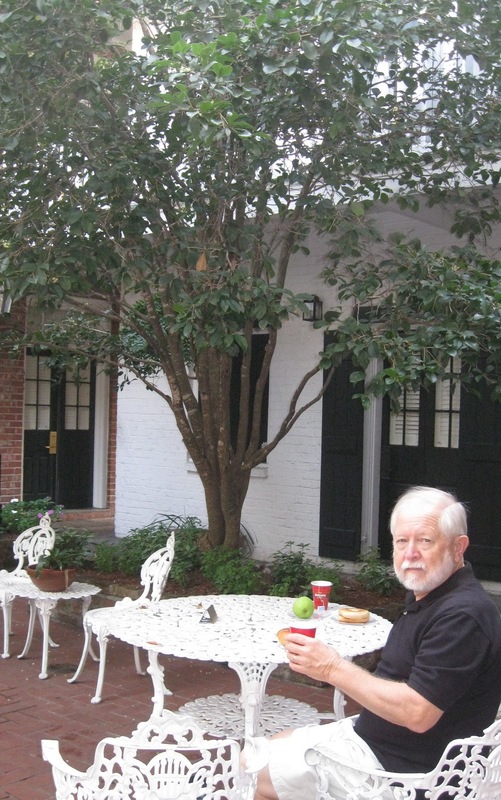 The wake-up flavors of Community Coffee, hot tea and guests’ breakfast conversation . . . 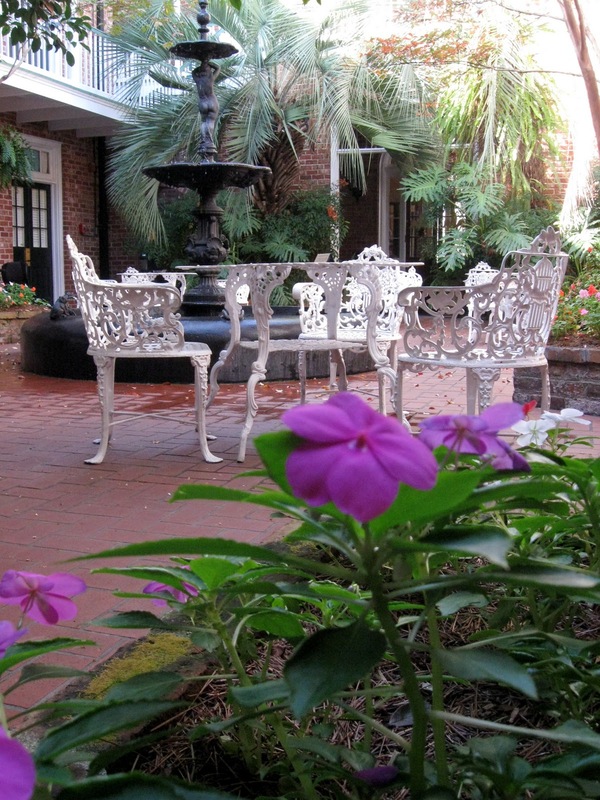 Spending even a few moments in the Provincial courtyard turns "just being" into a memorable experience. *Water photo above by husband Walter. See more of his photos here. 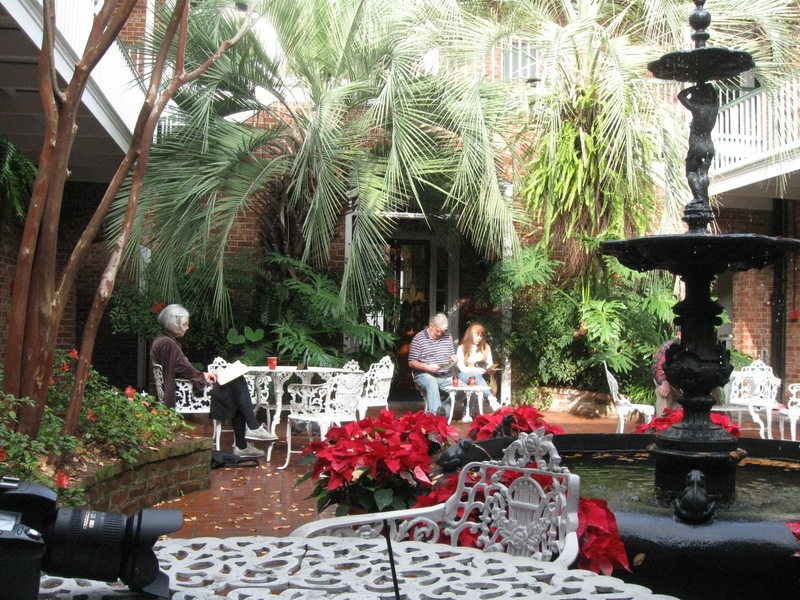 Thank you for bringing us with you to this beautiful, restful, and fragrant courtyard! I would so like to sit a spell there. 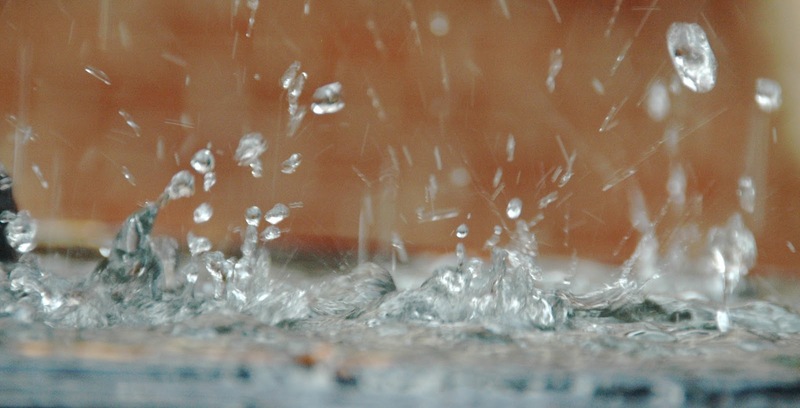 And Walter's water photo is great!!! @Dianne--Small world. We have loved ones in Prairieville, too! Thanks for asking about my quote from Matthew. It is from The Message. I meant to add that but forgot!